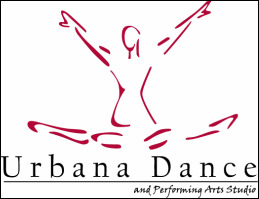 The 37-week Dance Year tuition rates are calculated as a yearly commitment and divided into 10 equal monthly installments due on the first of each month. First and last installments are paid in advance at registration, reserving your spot in class. Example: You register for class on Sept. 15th and pay first and last installment. Your next installment is due on Oct. 1st. Tuition is prorated for those registering after classes have begun and will be taken at time of registration. Fall/Spring Season tuition and fees (i.e. costume payments) must be paid via auto payment (Visa or MC) through your online dance account. A debit/credit card must be on file. Upon registration, you grant permission to charge the card on file for monthly tuition installments on the 1st of each month and for costume fees as they become due. However, if you wish to pay by cash or check, payment must be submitted before the 1st of the month. Tuition payments are non-refundable and non-transferable. Summer Season tuition is due at time of registration. Class, camp, intensive, and workshop fees can be found in the Summer Season brochure released in March. Cancellation prior to June 1; 75% tuition is refundable. Please note: the registration fee is NOT refundable. After June 1; 50% tuition is refundable. Please note: the registration fee is NOT refundable. No refunds will be given if cancellation occurs within 7 days prior to camp or class start date. No refunds will be given if a student withdraws at any time after camp or class begins. There are no reduction of tuition amounts for late arrival, early departures or missed classes. Adults, College Students, and PreProfessionals should inquire at the office for class cards and/or drop-in rates. We hate to see you go, but understand sometimes withdrawals are necessary due to unforeseen circumstances. Please complete a withdrawal form in person during office hours no later than 30 days prior to your scheduled withdrawal. Tuition will continue to accrue until this form is submitted and signed by both the parent/guardian and a representative of UDS. The registration fee, tuition and costume fees are non-refundable and non-transferable. Student credit, valid for one year, is given for any tuition credit you may have at time of withdrawal. In the unlikely event UDS terminates enrollment of any student, a pro-rated tuition refund will be issued. A $10 late fee is charged for all declined transactions not reconciled by the 10th of the month. A $25 service fee is charged for checks returned unpaid. UDS reserves the right to charge the credit card on file if a check is returned unpaid. Accounts more than 30 days in arrears will cause the student(s) to be dismissed from the studio, unless acceptable arrangements are made in writing with the Finance Director.